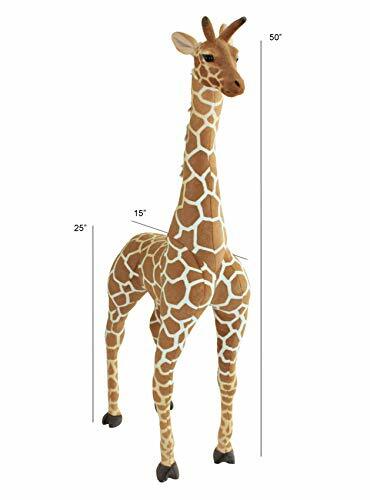 *Over four feet tall of fun, this gorgeous giant Giraffe Plush will bring a touch of the exotic into any environment. 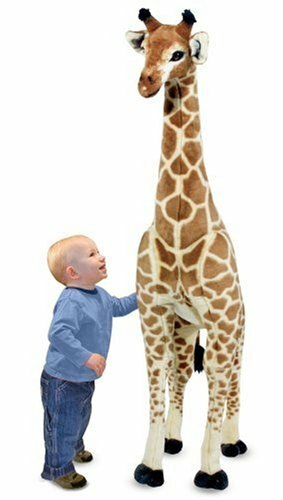 *Attention to authentic details and excellent quality construction makes this giraffe easy to love! *This awe-inspiring lifelike plush toy has beautiful markings and realistic details which are hand-crafted with care. 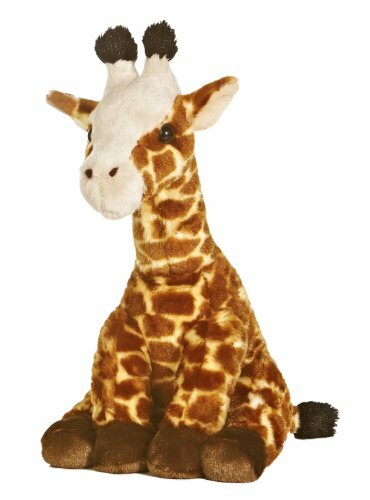 * The perfect accessory in a nursery, this eye-catching giraffe is a great addition to any décor! 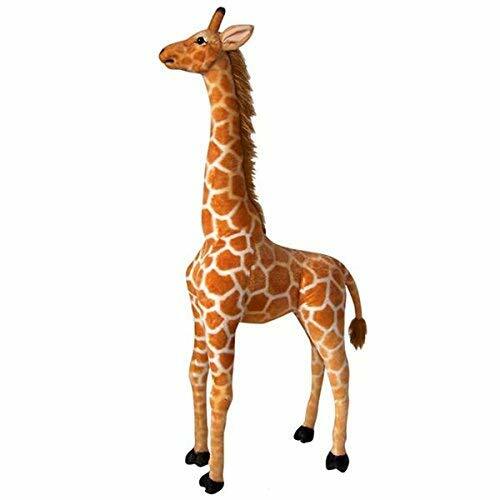 *It features graceful, sturdy, wire-framed legs and a long neck that makes it ideal for hugs. *This giraffe can take all the hugs your child has to give. 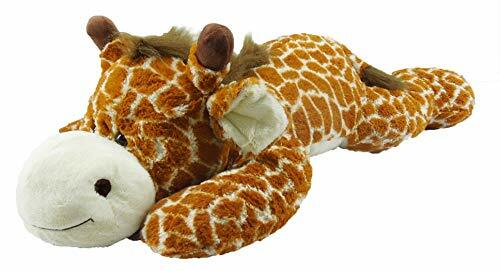 *This stuffed animal is made of soft polyester fabric, making the surface washable. Ages 3 and up. 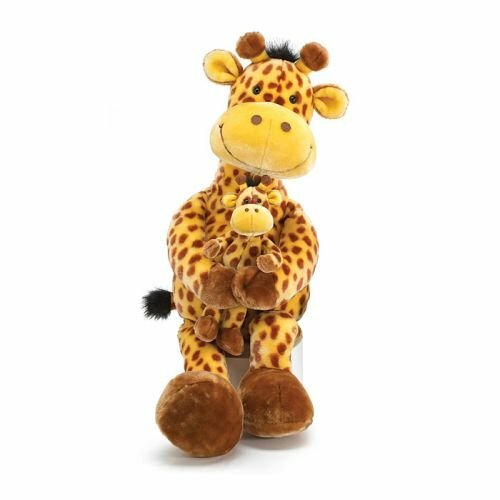 Geri Giraffe with arms wrapped around a baby Geri Giraffe. 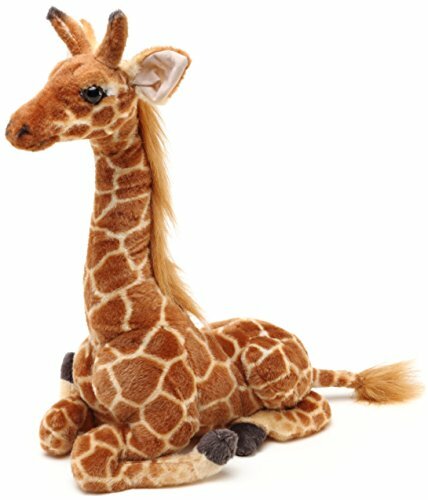 Geri has button eyes and is attached by stitching to baby giraffe.32" High from top of head to bottom of toes. Isaac's Christmas present from uncle John & Jess!